Pet Rest Products - Now there’s an alternative to the plastic bag. The sensitive and professional way to go! Now there’s an alternative to the plastic bag. Our coffins come in seven sizes to cater for the smallest to largest household pet. 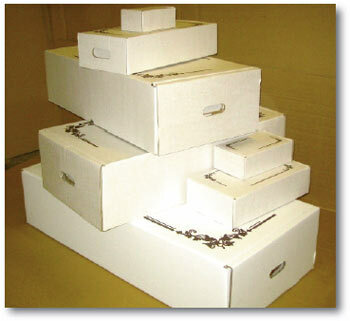 The largest box can take up to 50 kilos in weight. Create a lasting bond between pet owner and your Practice. PetRest Products tick all the boxes!